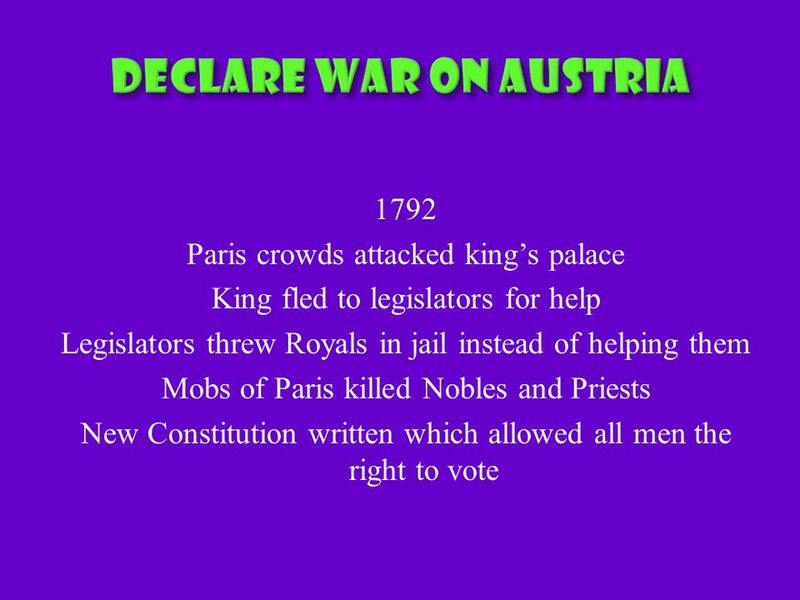 Debt from Wars Debt from King’s extravagance Interest payments ½ tax revenue Tax structure problems Change necessary soon. 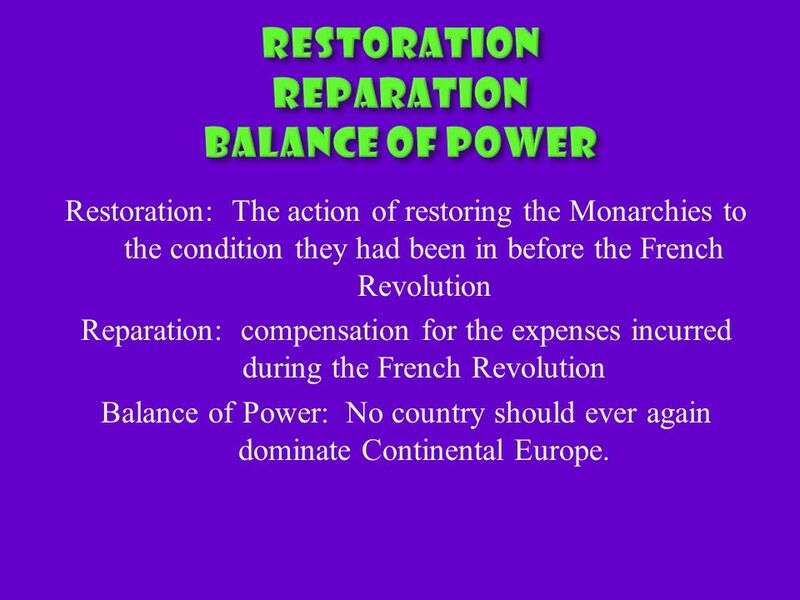 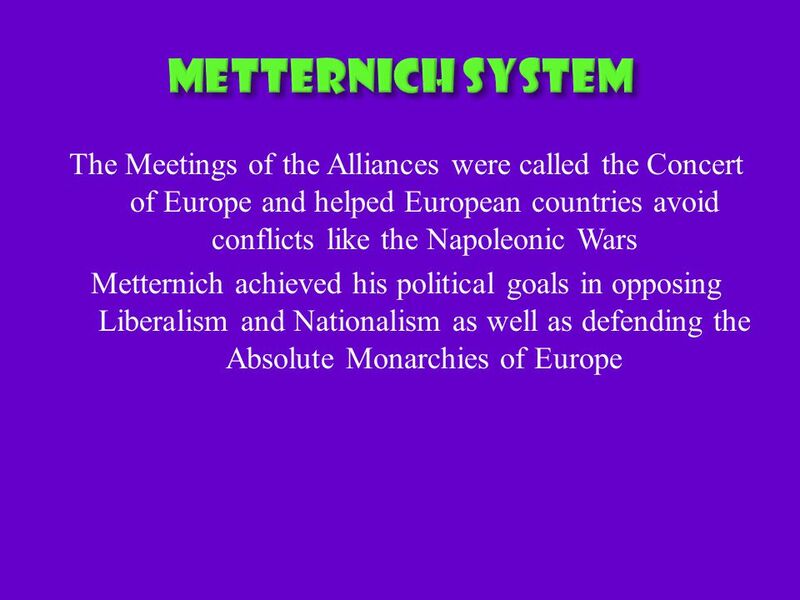 37 Restoration: The action of restoring the Monarchies to the condition they had been in before the French Revolution Reparation: compensation for the expenses incurred during the French Revolution Balance of Power: No country should ever again dominate Continental Europe. 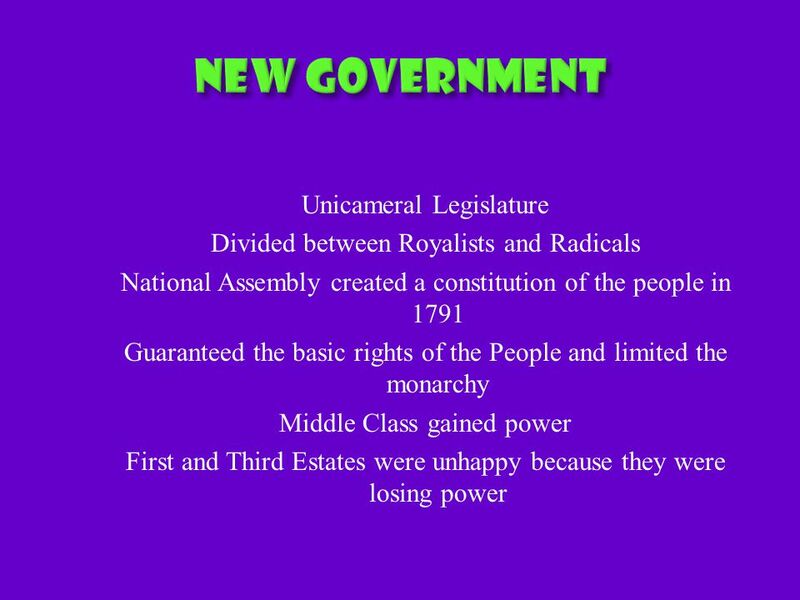 39 Reactionaries: People who opposed change and want to return the Government to the format it was in earlier times. 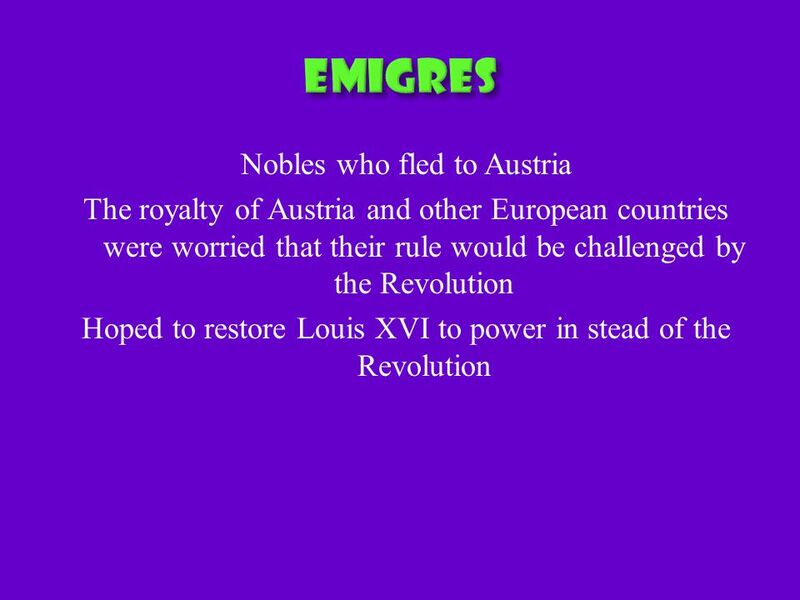 These were the Nobles. 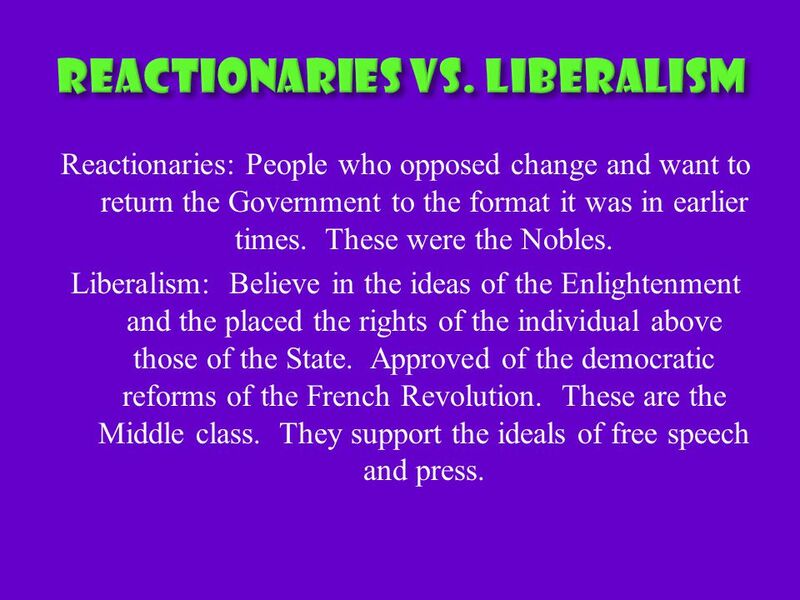 Liberalism: Believe in the ideas of the Enlightenment and the placed the rights of the individual above those of the State. 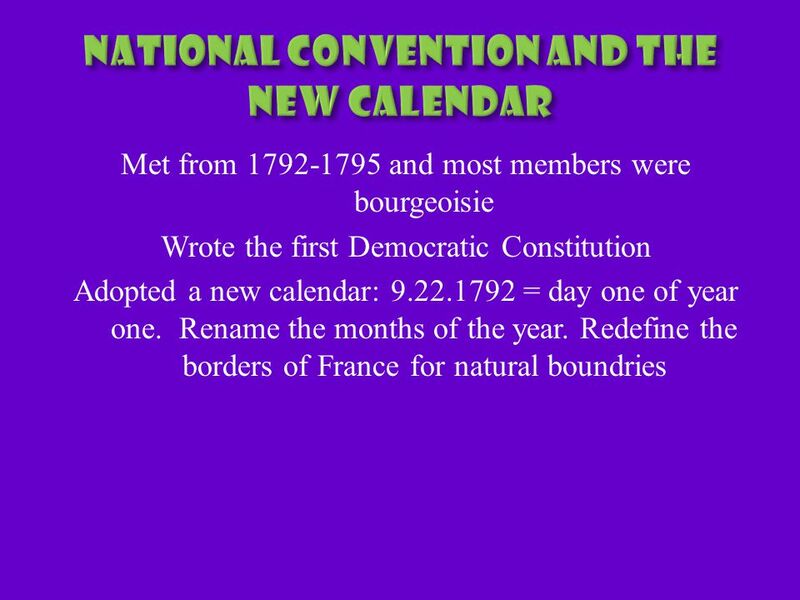 Approved of the democratic reforms of the French Revolution. 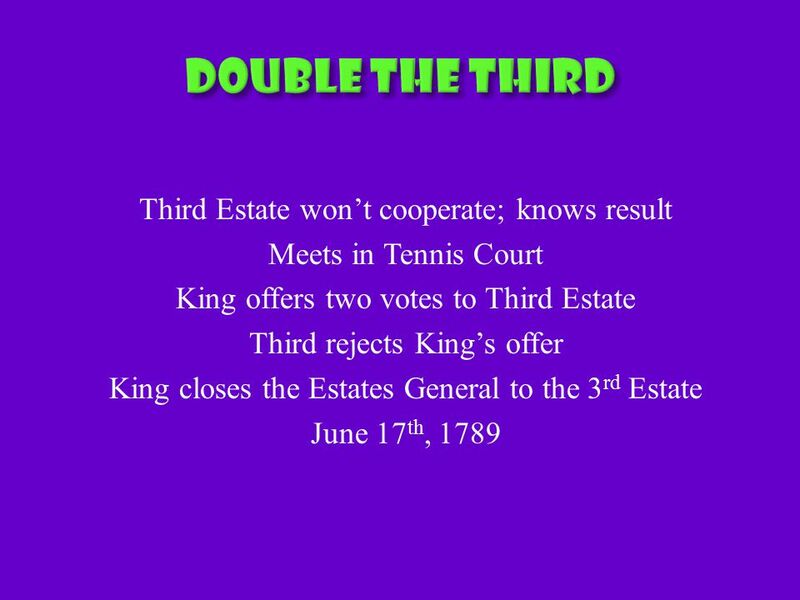 These are the Middle class. 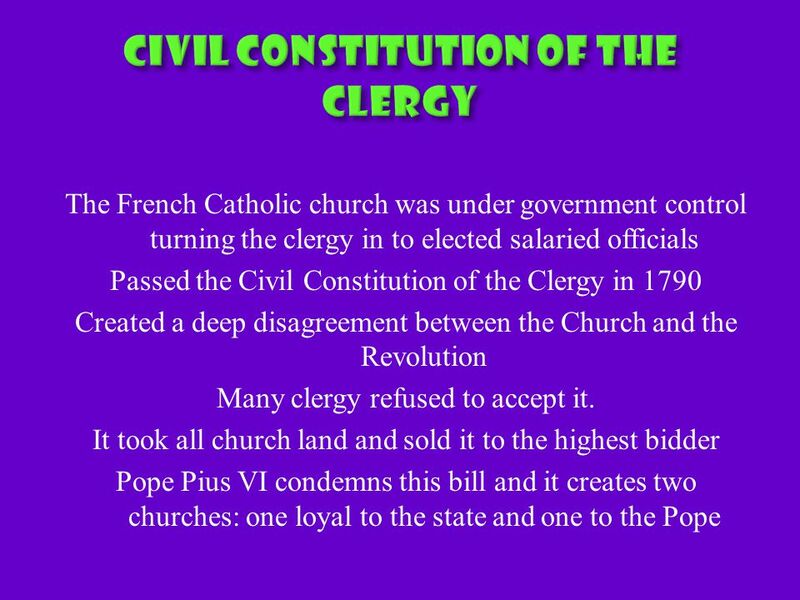 They support the ideals of free speech and press. 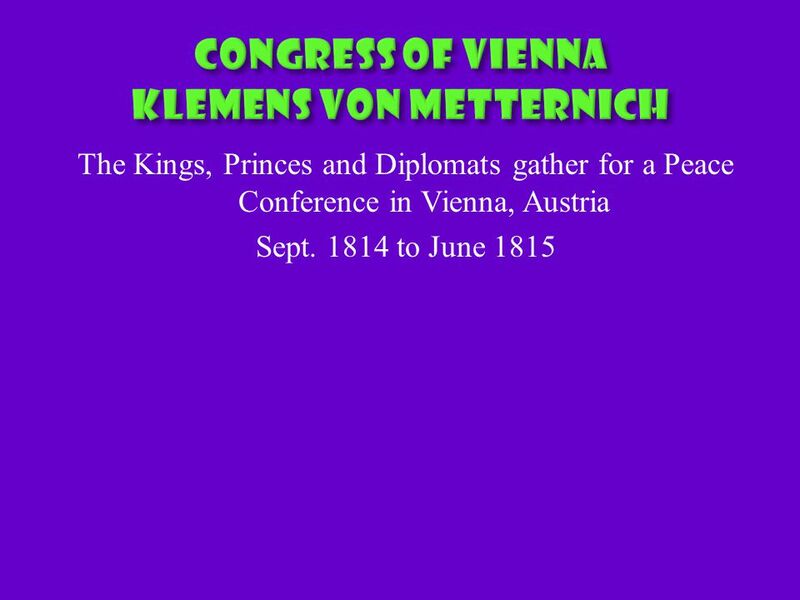 40 Great Britain, Austria, Prussia and Russia join the Quadruple Alliance The Holy Alliance was Russia and Netherlands, Austria, Prussia. 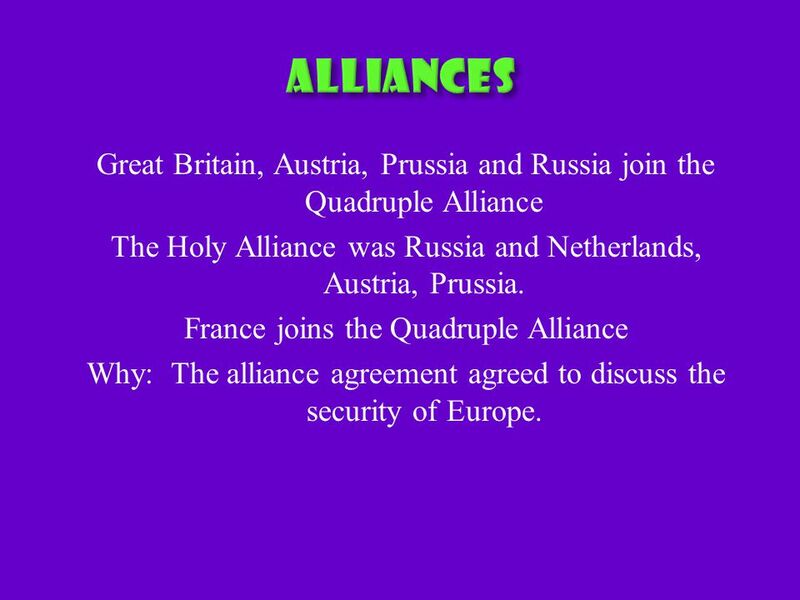 France joins the Quadruple Alliance Why: The alliance agreement agreed to discuss the security of Europe. 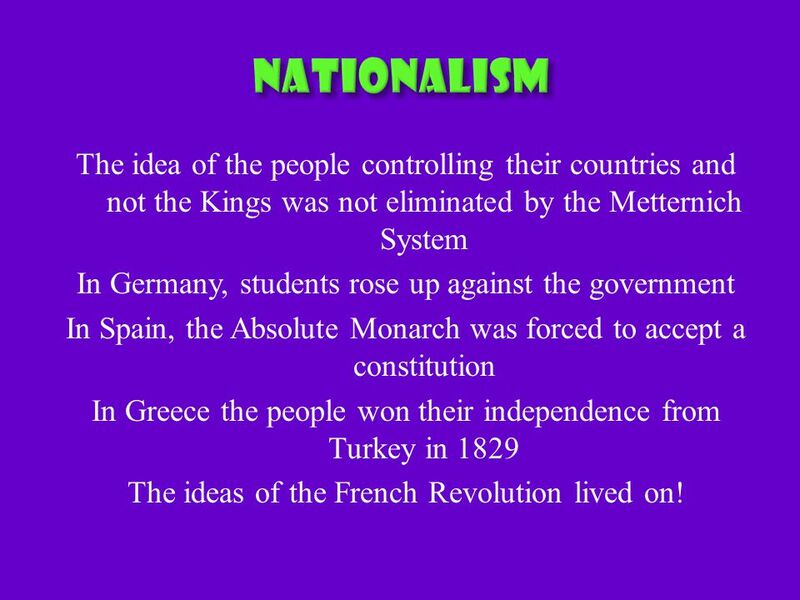 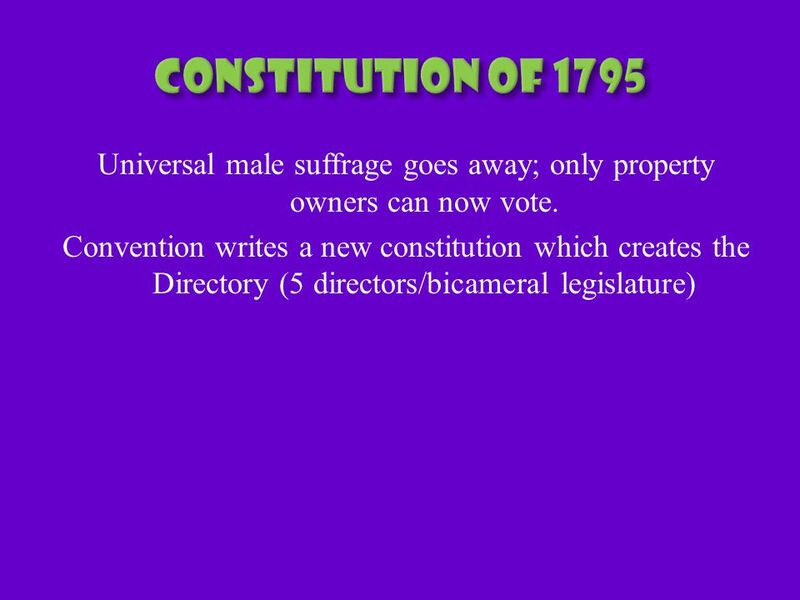 42 The idea of the people controlling their countries and not the Kings was not eliminated by the Metternich System In Germany, students rose up against the government In Spain, the Absolute Monarch was forced to accept a constitution In Greece the people won their independence from Turkey in 1829 The ideas of the French Revolution lived on! 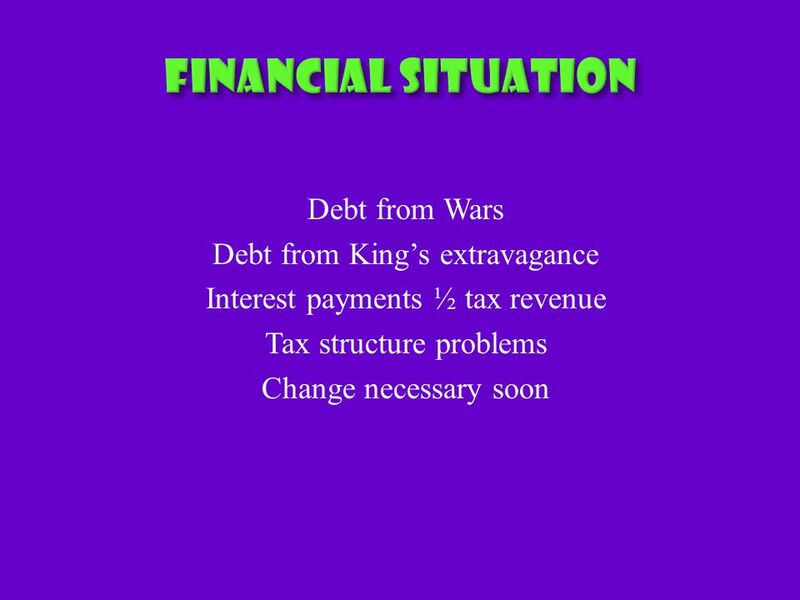 Download ppt "Debt from Wars Debt from King’s extravagance Interest payments ½ tax revenue Tax structure problems Change necessary soon." 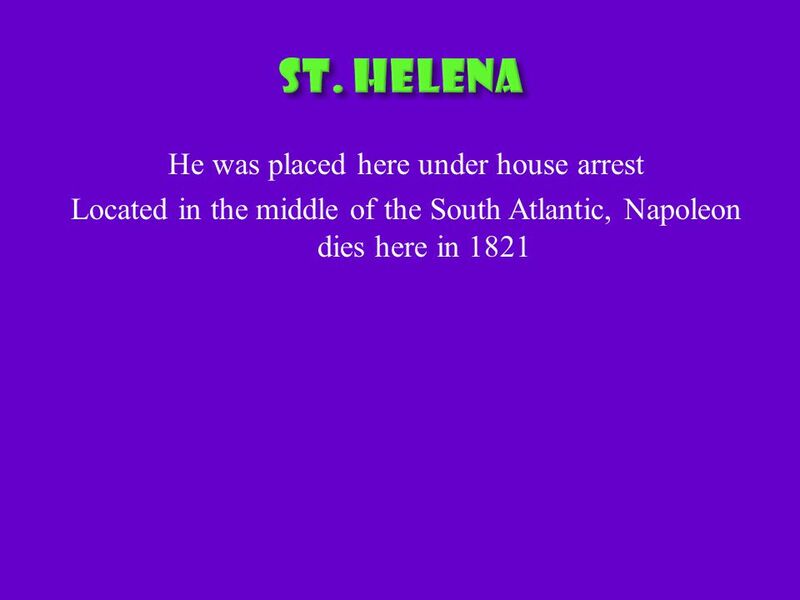 Napoleon Consulate to Empire… to Exile! 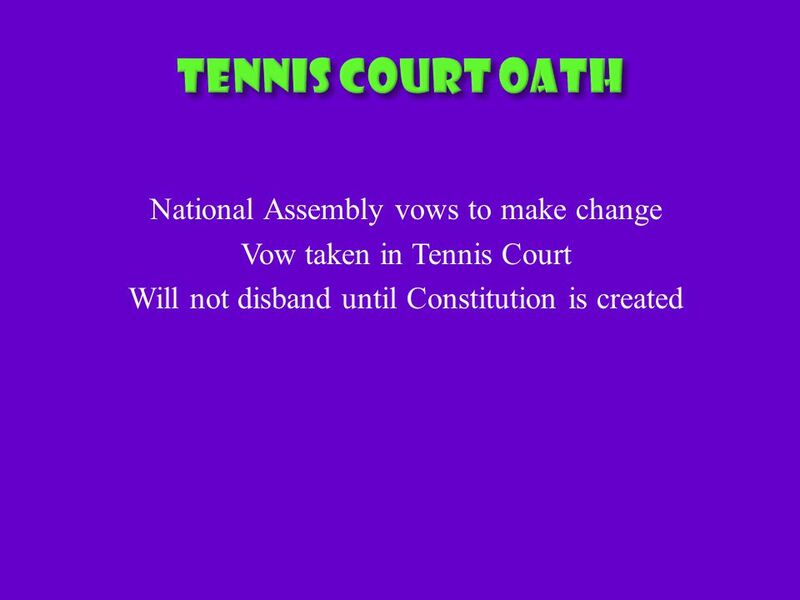 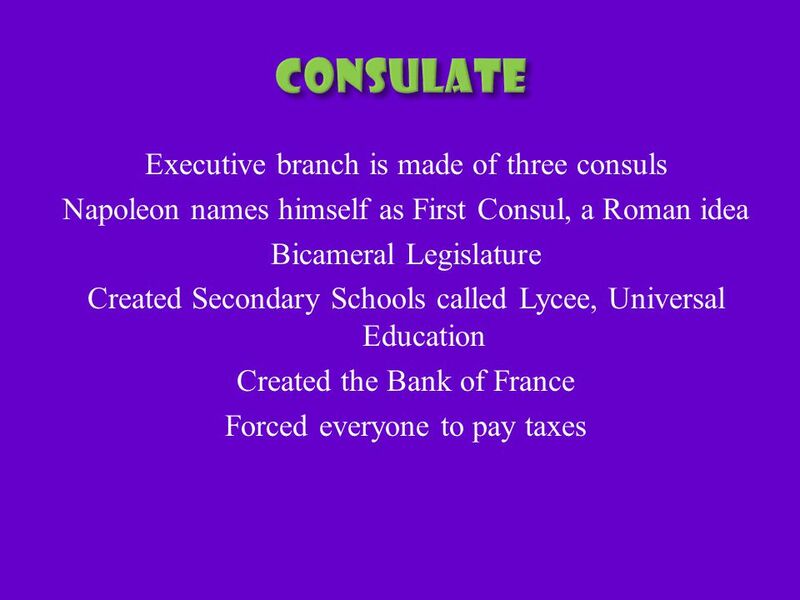 Consulate New Constitution - Really set up Dictatorship (gov’t headed by absolute ruler) Executive Branch - 3. 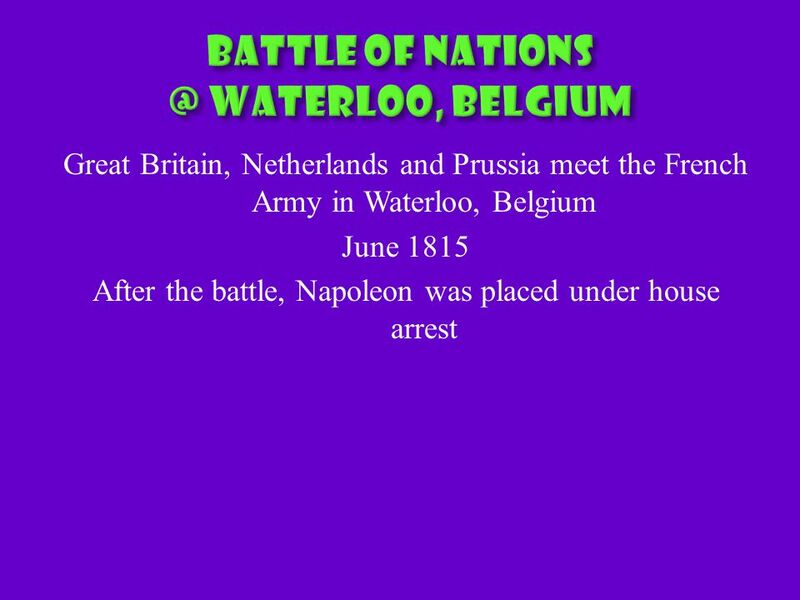 Mr. White’s World History Napoleon’s Empire. 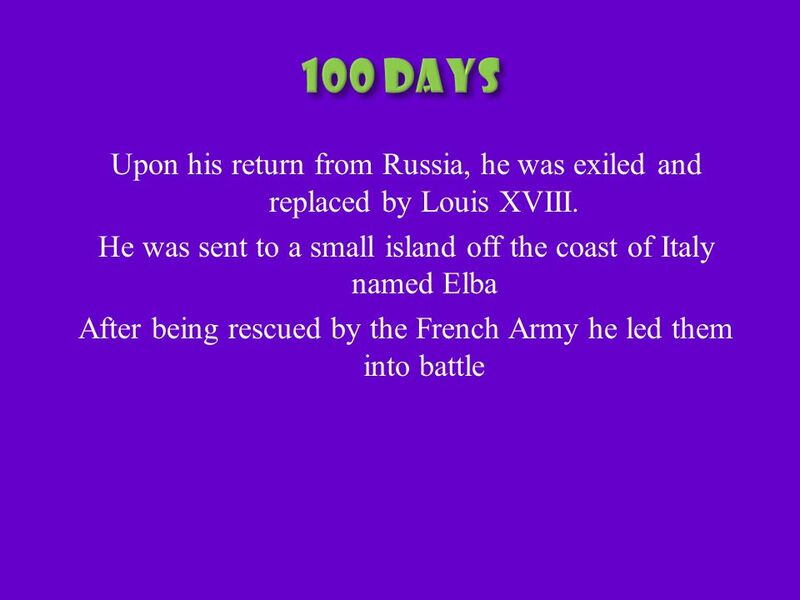 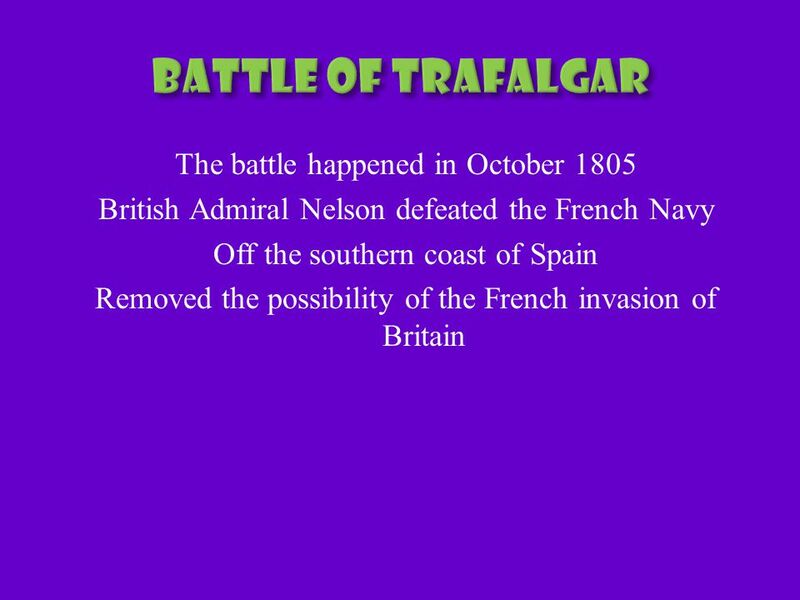 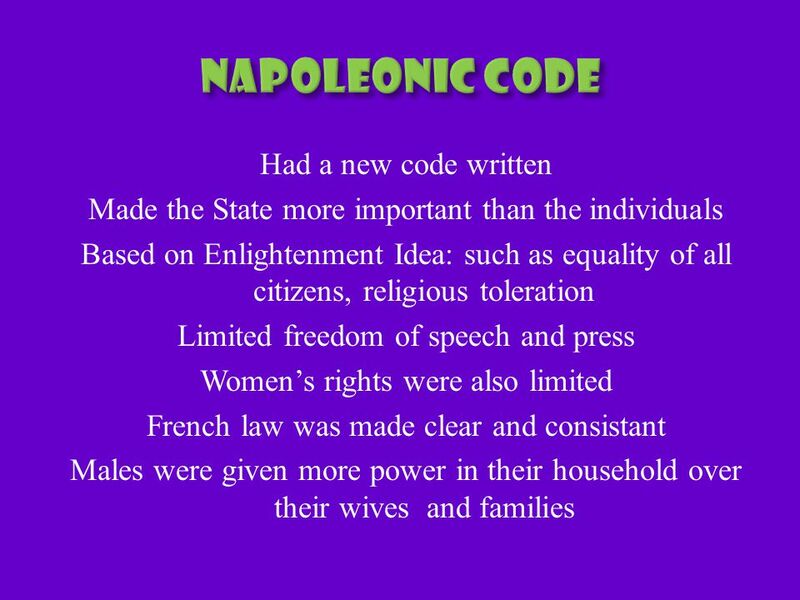 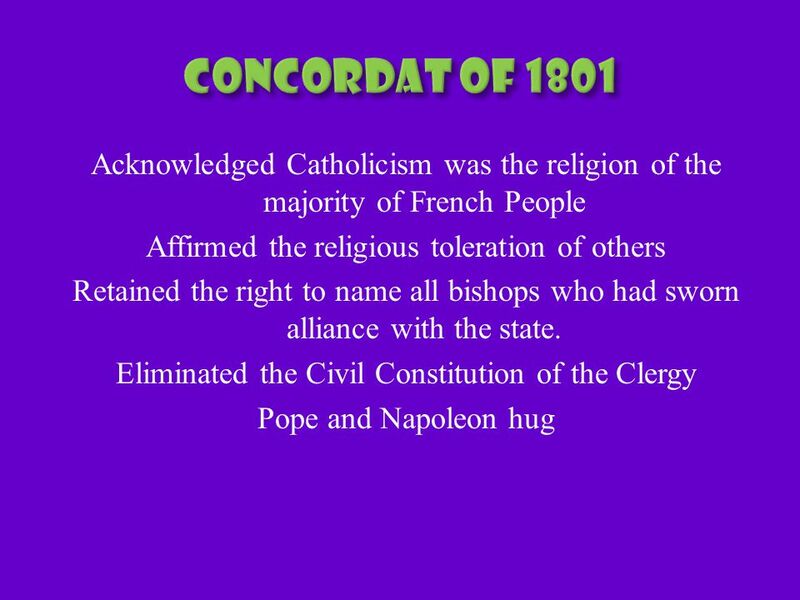  After this section, we should be able to answer these questions: ◦ How did Napoleon come to power, and. 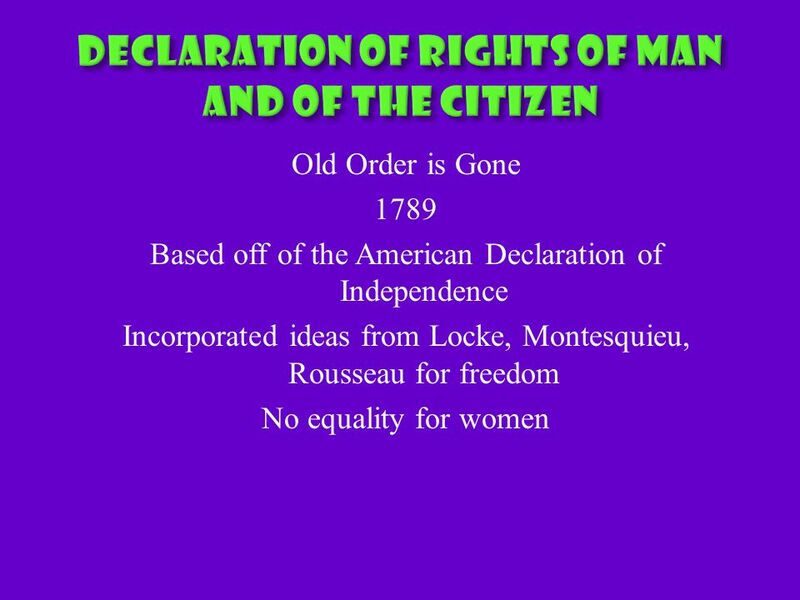 Mr. Bausback Class Notes- Ch’s 3 & 4 SS 9. 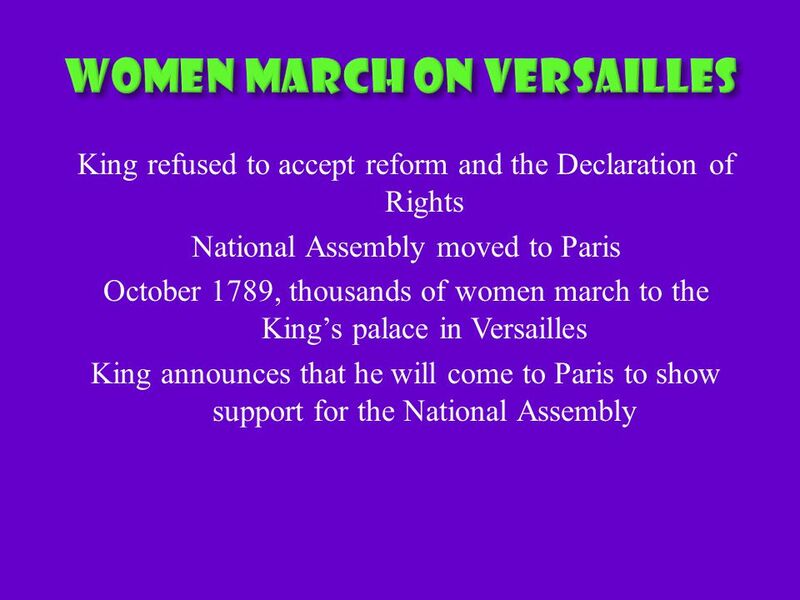  The French government was bankrupt  King Louis XIV raised money through taxes  Ordinary people did not. 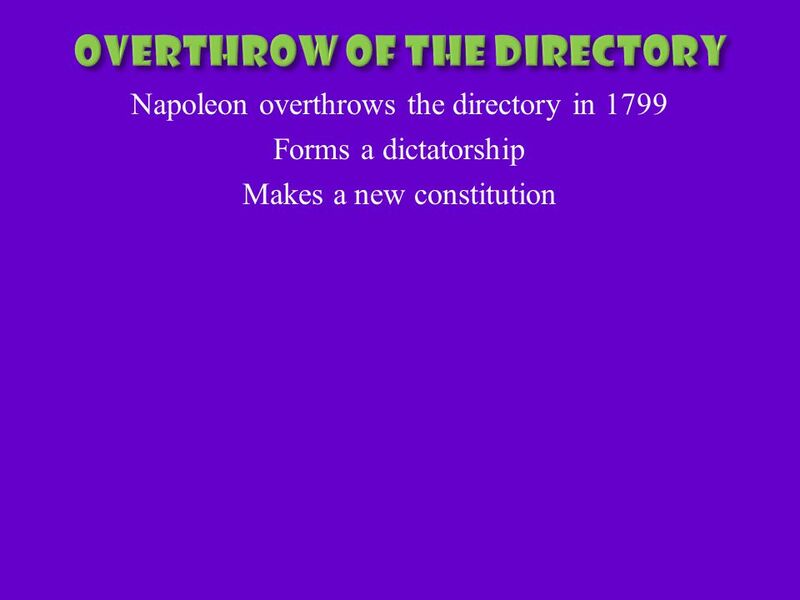 Starring Your Host Mr.Scharich The French Revolution. 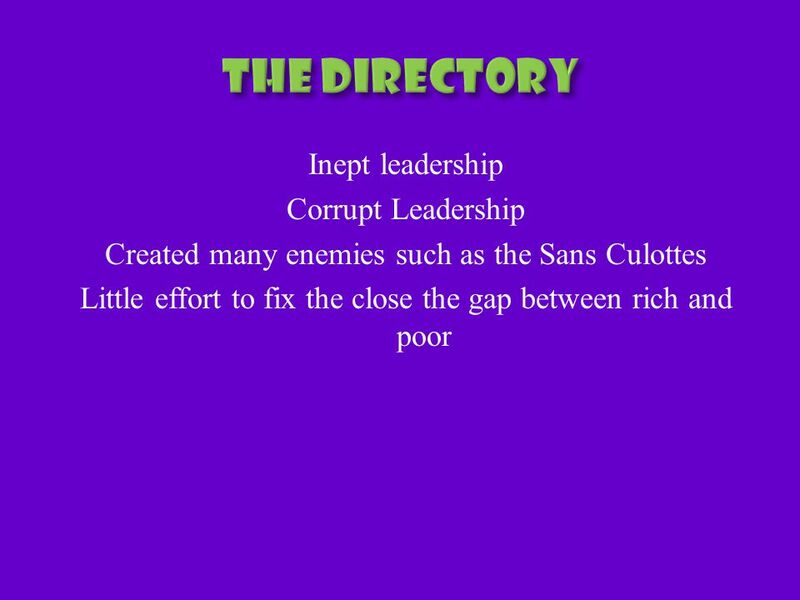 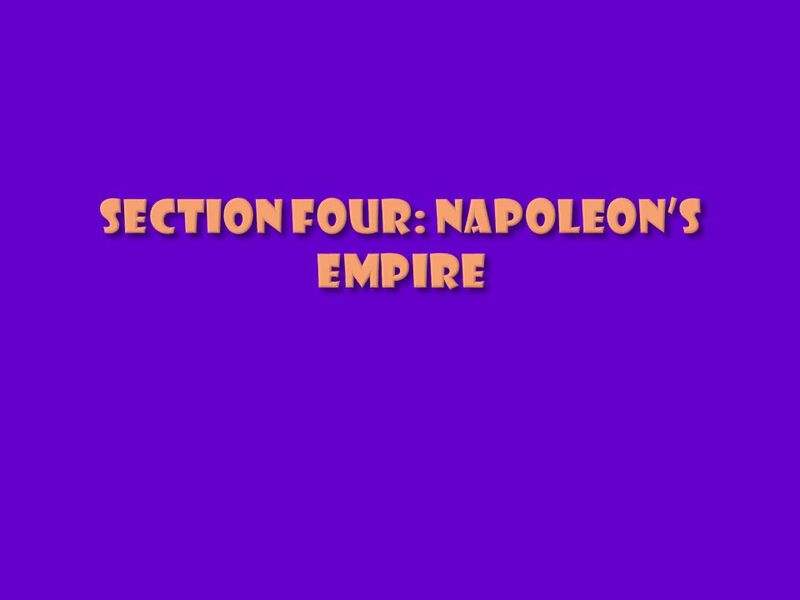 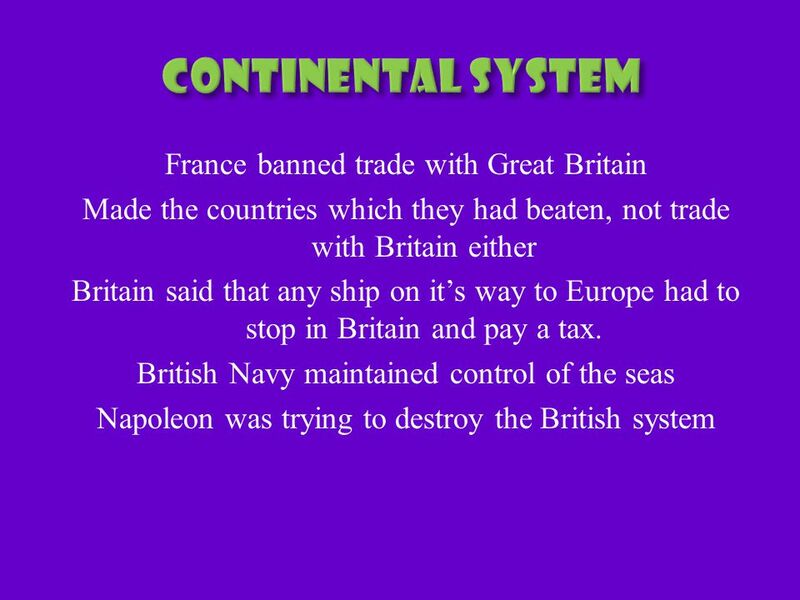 Chapter 11 The French Revolution Section 4- Napoleon’s Empire Chapter 11 The French Revolution Section 4- Napoleon’s Empire. 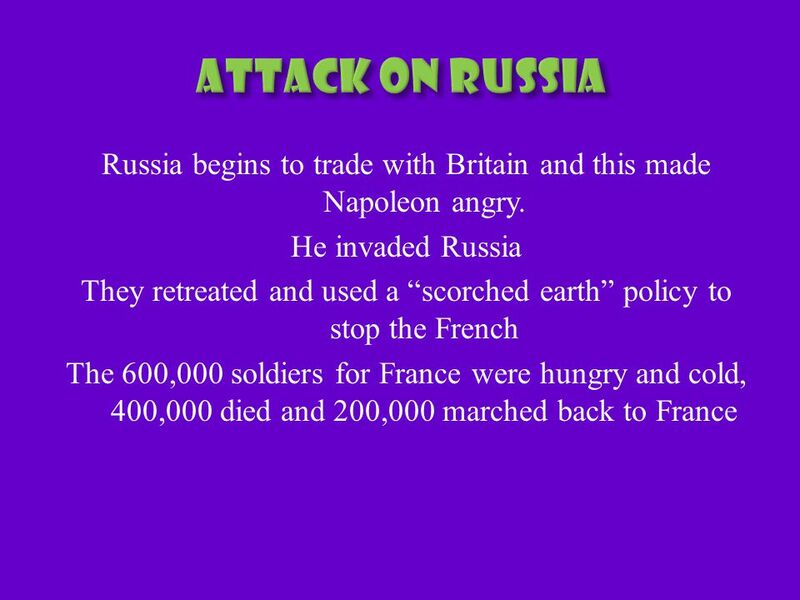 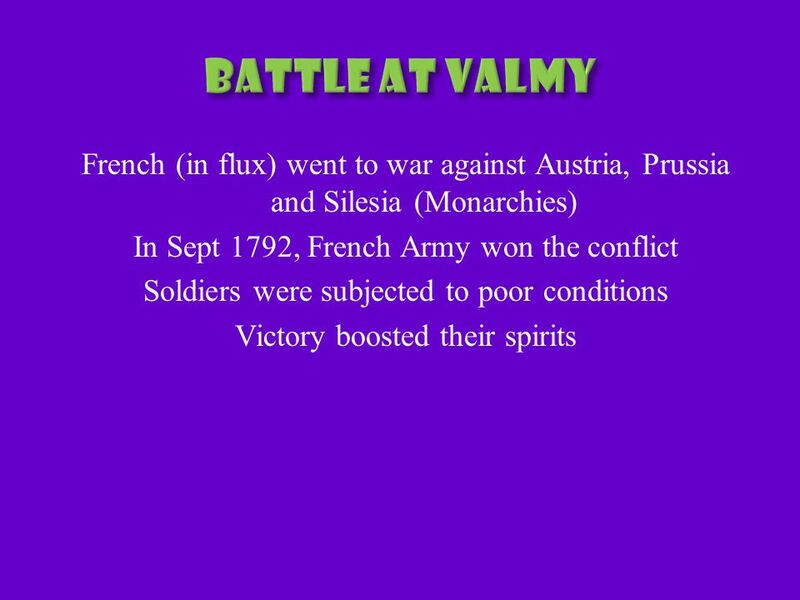 French Revolution Further Explanation, Thoughts and Relevance. 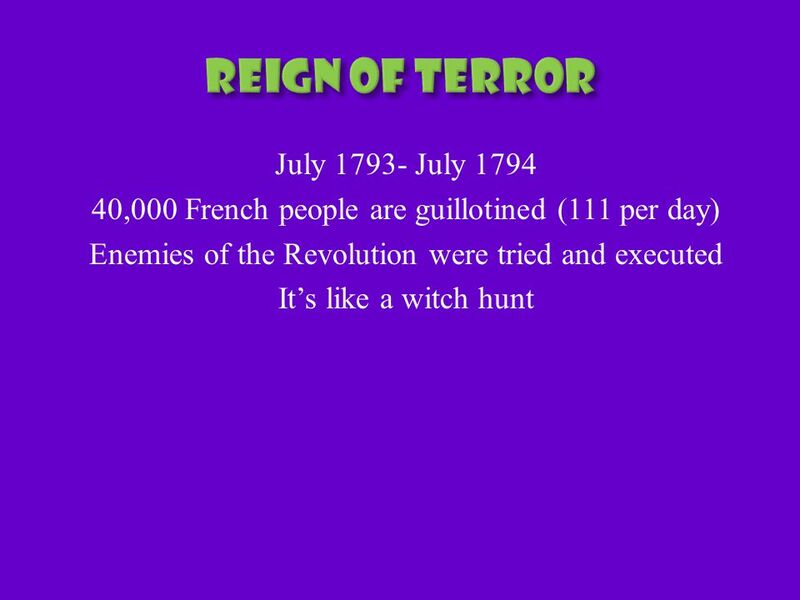 A Review of The French Revolution. 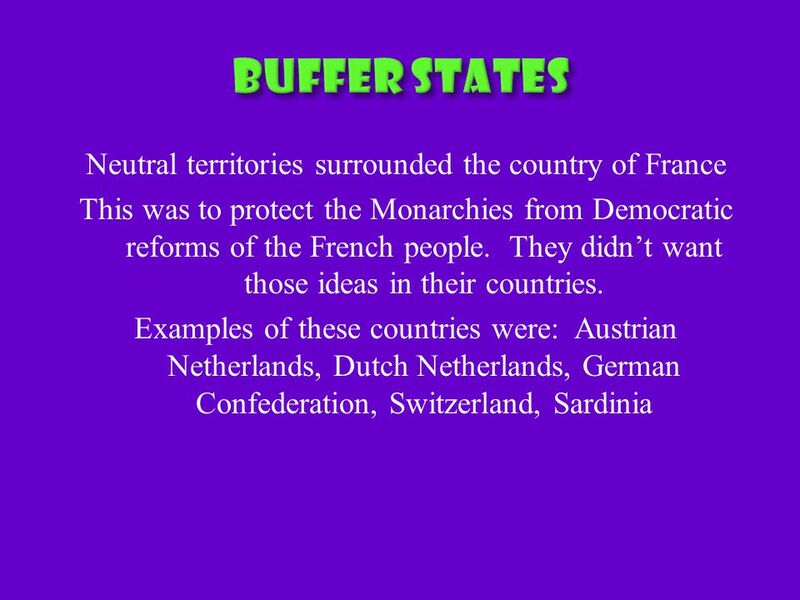 Estate System Who makes up the 3 estates in France? 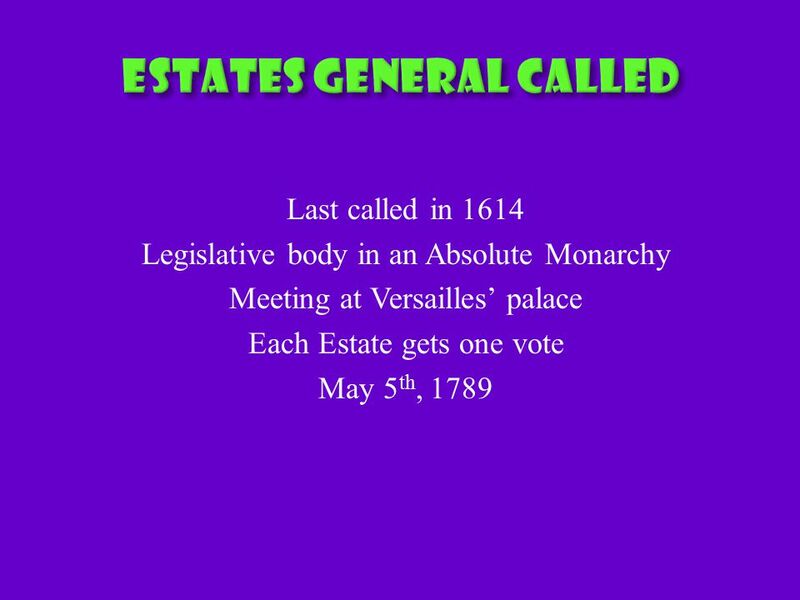 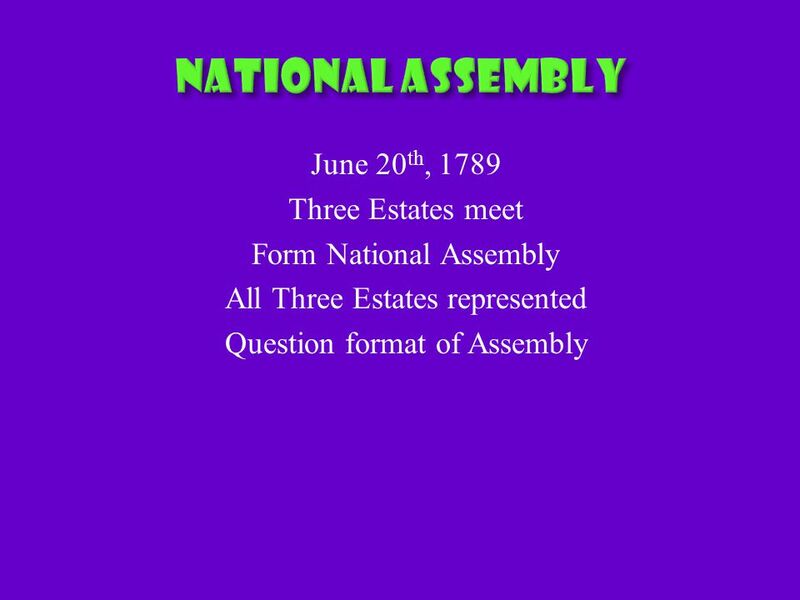 1 st Estate: Clergy 2 nd Estate: Nobles 3 rd Estate: Majority of. 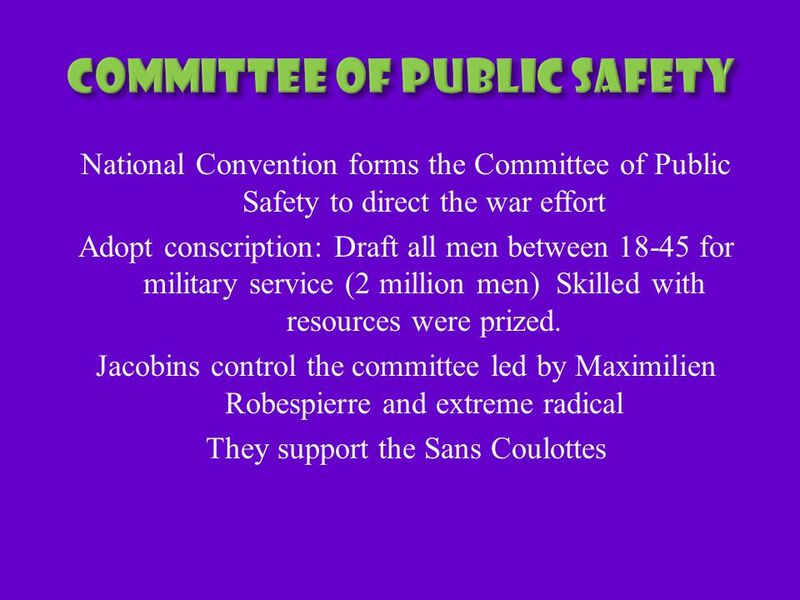 World History/Cultures Chapter 11 The French Revolution Section 2 Constitutional Government. 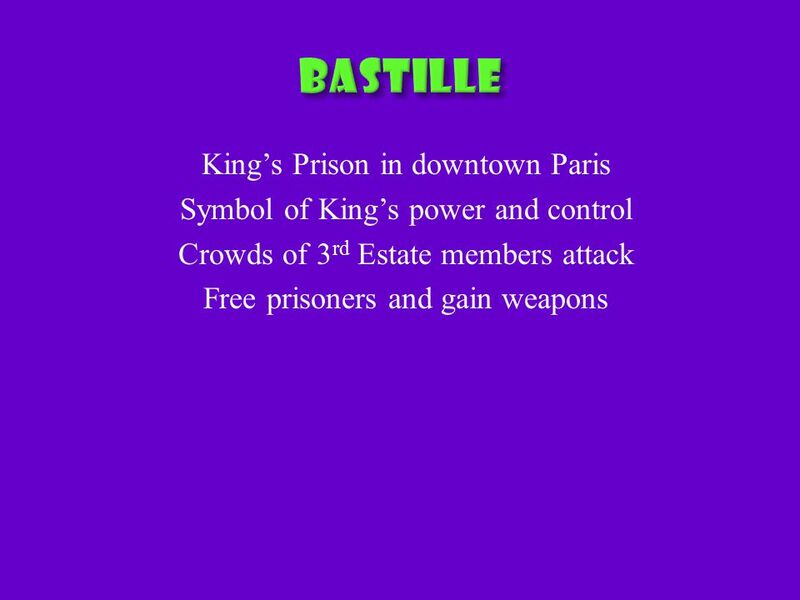 The French Revolution pt. 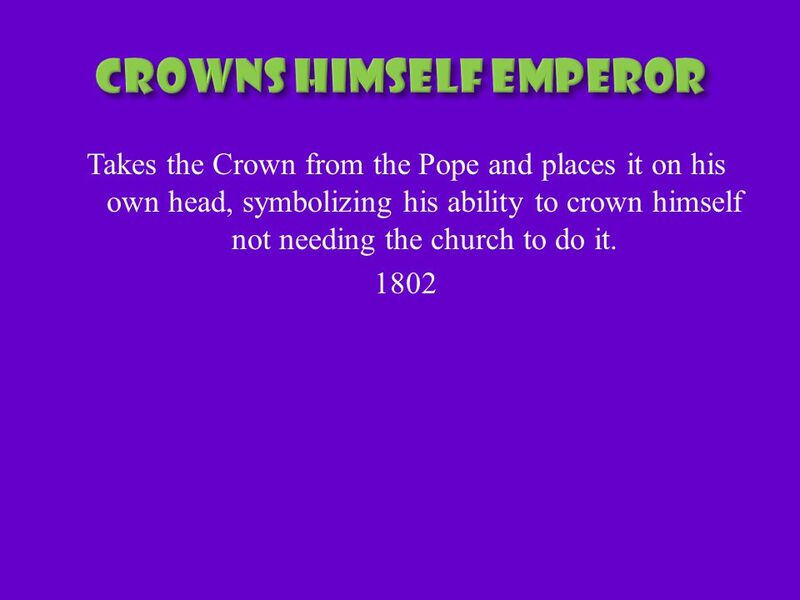 I Causes for a Peasant Revolt against the King. 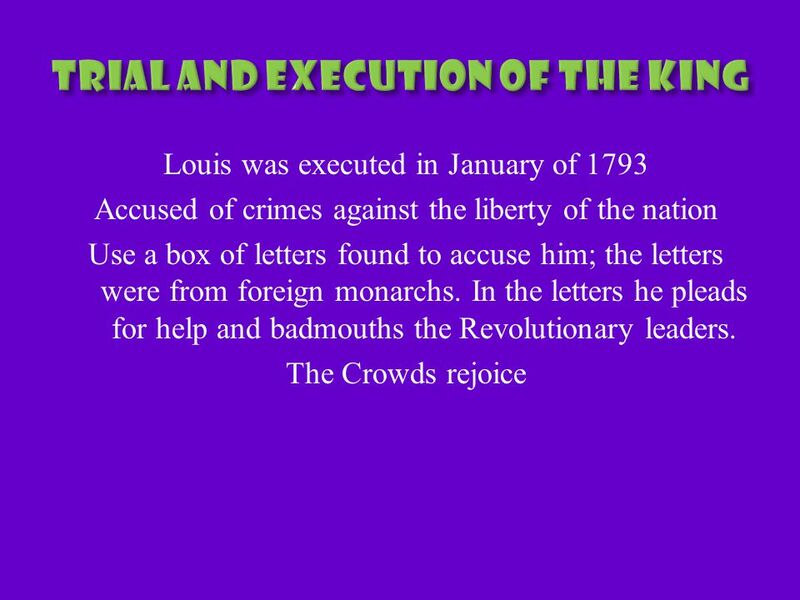 FRENCH REVOLUTION CHAPTER 23 SECTION 1 & 2.